There are plenty of reasons to remove your earbuds, stop looking at your phone and slowly check out your surroundings in Richmond. 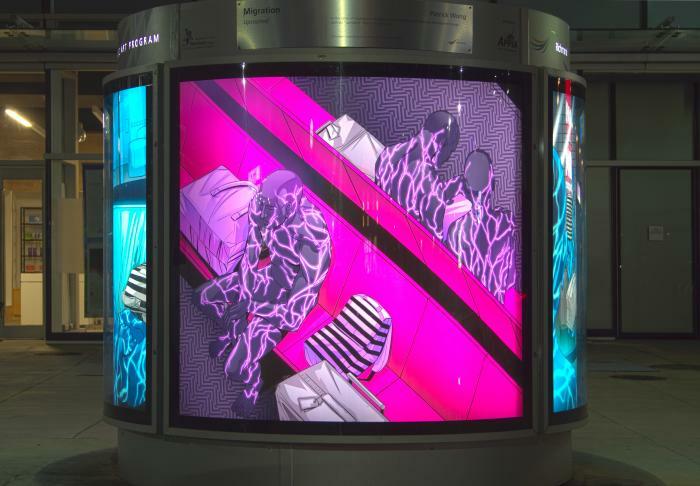 But one of our favourites is the city’s eye-popping public art scene. Like a free-entry outdoor art gallery, there are dozens of installations waiting to be discovered here. The city’s Public Art Registry webpage provides a browsable directory of local works, along with an interactive location map and background information on the artists. There are also six downloadable, self-guided 10 Minute Art Tours available so you can easily plot your own cool, culturally inclined days out in the city. Some areas, according to Jauk, are particularly popular. “The Richmond Olympic Oval has a large number of works along the periphery of the building as well as inside. 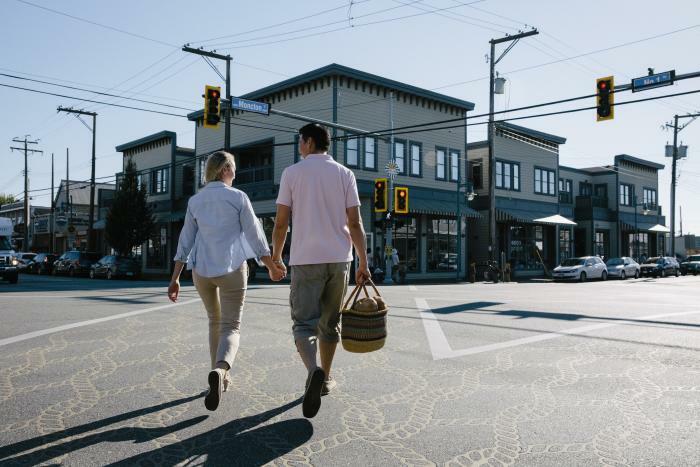 And several of the works in Steveston Village respond to the area’s maritime heritage,” she says, adding that Richmond’s Canada Line stations are also worth a stop or two. Some local artworks are particularly popular with photo-snappers, adds Jauk. 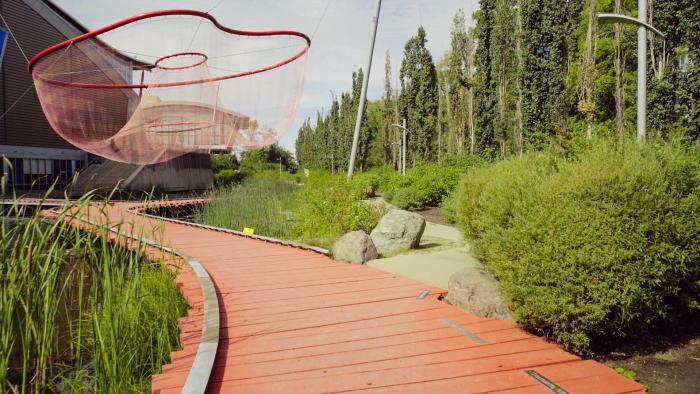 These include Water Sky Garden by Janet Echelman at the Olympic Oval – comprising a red zigzag bridge, water garden and two large net sculptures – and Crossover by Carlyn Yandle at Steveston’s Moncton Street and No. 1 Road intersection. It’s a crosswalk patterned like a fishing net stretching across the road – “the pattern is abstracted to invite other interpretations, such as fish scales or schools of fish,” adds Jauk. But arguably the city’s most dramatic work is at the corner of Cambie Road and River Road. Ren Jun’s Water #10 Vertical is a towering stainless steel sculpture that looks like a giant streak of mercury dropped from the sky. “Although it weighs three tons and has no angles or hard edges, the form flows visually and appears light and fluid,” says Jauk.